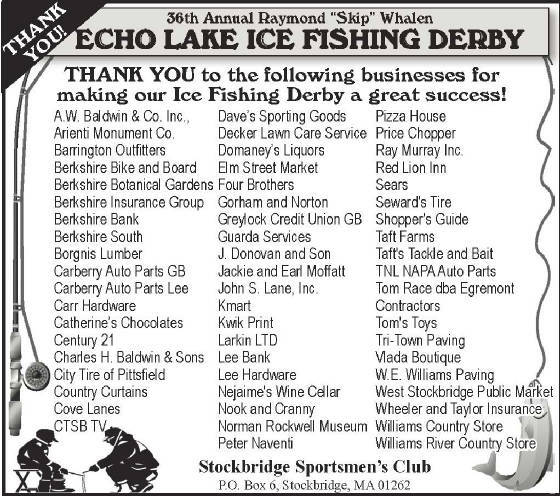 The Stockbridge Sportsmen's Club gratefully acknowledges the following sponsors who have contributed to our youth activity programs. If you would like to sponsor or volunteer to assist a youth program, please send us an e-mail. Mathews Inc. is the world's leading manufacturer of recurve bows, compound bows, bowstrings and archery accessories. Our youth archery program thanks Mathews Inc. for their generous support, and asks you to click here for complete product information. Savage Arms is a world class sporting arms manufacturer located in Westfield, MA. Our youth rifle program thanks Savage Arms for their generous support, and asks you to click here for complete product information.